USCG Inspection and Fishing Boat Yard Trip went extremely well this year. 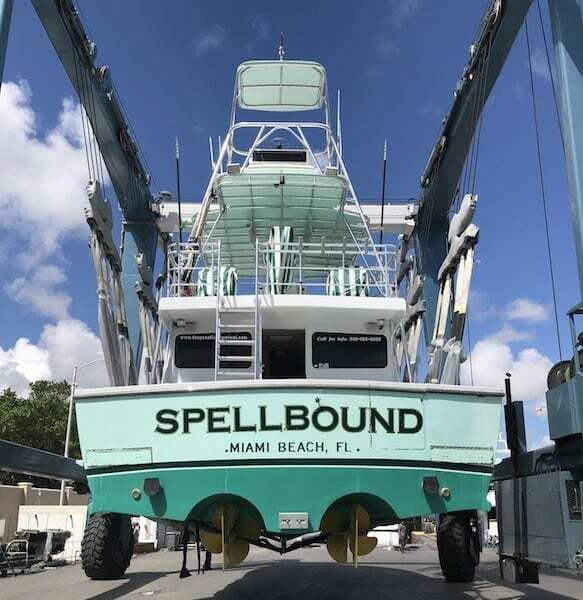 Every year our boat the Spellbound and crew go through through safety and vessel inspections. The crew gets tested in skills like fire fighting, CPR and man over board drills. We are also taught any new skills and procedures developed by the USCG for small passenger vessels. Either for vessel maintenance or handling as well as safety skills and procedures. 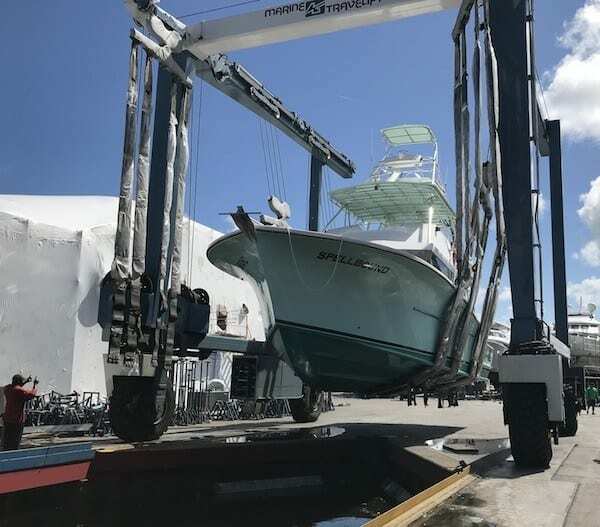 Every two years the Sport Fishing boat Spellbound goes to the boat yard and gets lifted out of the water. Once on land we disassemble all of the wear components under the water line. We also examine all of the running gear for wear and or problems. 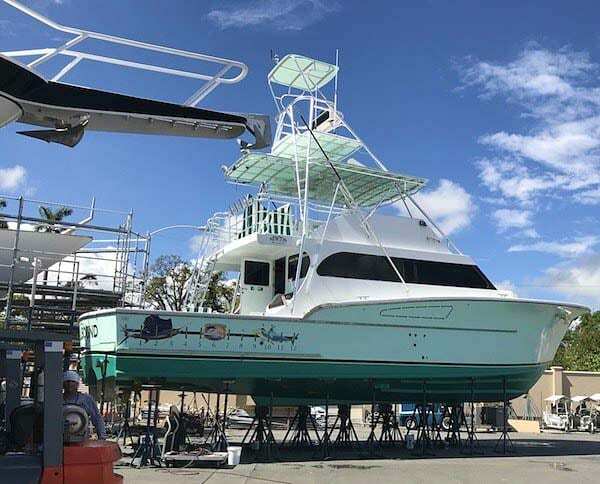 Rudders, shafts, propellers, cuttles bearings, strainers, through hulls and the hull its self are all closely inspected but us, the Rolly Marine boat yard engineers and the USCG inspectors. All of the hard work and maintenance through the year pays off. Our USCG inspection went great ! New bottom paint, cleaned running gear and lots of maintenance and the Spellbound bottom is ready to go back in the water. We also did a complete service to both engines and generators. Acid washed the hull, compound and wax and the hull sides are looking like new. Live well systems are cleaned and painted. With a fresh coat of paint on the decks we have a great clean look after a hard season of fishing, We have also freshened up the interior with some new lights, decor, varnish and a deep cleaning. We have also added Blue Tooth to our stereo, so now you can play your favorite music right from your phone.